What Is the Difference Between an Emotional Support Animal, Therapy Dog and Service Dog? Do you know someone who is interested in searching for an emotional support dog? How about a service or therapy dog? Each of the three types has a different role, and the many terms can be confusing but they aren’t interchangeable. Owners of dogs often speak about the benefits their pets offer in reducing stress and anxiety, helping them to complete daily tasks much easier. There is often debate about which breeds make the best therapy dog, but the truth is any breed can be trained for therapy work. Instead of focusing on one breed, look for dogs with the right temperament. Service animals should be patient, gentle and affectionate. Focus on how these wonderful pets make you feel. Let’s define each support animal and how they can help. Emotional support dogs are defined by their ability to comfort people through affection and companionship. Though they don’t receive any formal training, they are a big help to those who suffer from mental and/or emotional issues. You might be wondering how are they different from other service dogs? Emotional support dogs aren’t required to perform any specific tasks needed to aid a person who is limited by a disability like service dogs are. Because emotional support animals aren’t required to undergo specialized training, they aren’t allowed access to all public areas. But most notably, you’ve likely seen emotional support dogs flying with someone who has emotional or psychological disabilities. This is common practice as long as a letter is provided by a physician. Their primary role is to provide their owners with emotional comfort. Emotional support animals can psychologically benefit an individual who has a disability tremendously. The gift of companionship and unconditional affection can be just the right therapy to counter a condition like debilitating depression. Emotional support dogs provide comfort, a calming presence, and company. Emotional support dogs do not have access to all public areas, but there are two legal protections. First, they can fly with a person who has an emotional or psychological disability. Second, they can qualify for no-pet housing. A letter from a physician may be requested by housing authorities and airlines because the use of emotional support dogs has been abused by some over the years. There is no formal training needed to be an emotional support dog, which is why you may see some that are not the most well-behaved. However, there are some characteristics you’ll want to know, so you have the best experience with your emotional support dog. A service dog is trained to perform tasks and do work that can help alleviate their owner’s disabilities. Service dogs are much more than highly trained companions; they have important jobs. Working as part of a team with their partners, service dogs help attain the safety and independence from which many disabilities would otherwise limit them. Therapy dogs receive extensive training but have a completely different type of job from service dogs. Their responsibilities are to provide psychological or physiological therapy to individuals other than their handlers, who are usually their owners. These dogs have stable temperaments and friendly, easy-going personalities. Typically, they visit various institutions like hospitals, schools, hospices, psychotherapy offices, nursing homes and more. Unlike service dogs, therapy dogs are encouraged to socialize and interact with a variety of people while they’re on-duty. How do you register your pet as an emotional support animal (ESA)? Schedule an appointment for a brief assessment with a licensed therapist. Your ESA requires a letter from a mental health professional stating that the animal provides therapeutic value to its owner. Register your dog online with a reputable nationally recognized, government-approved website. You’ll be assigned an identification number for your pet and receive proof of registration such as a certificate or card you can present as necessary. 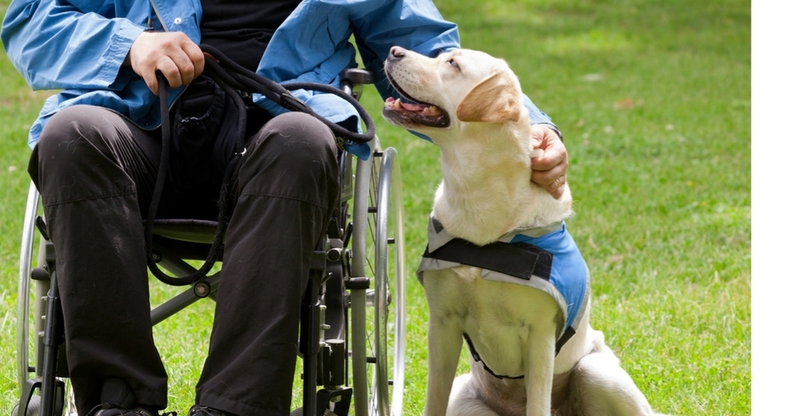 Service Dogs Help people perform a function that is limited by a disability. 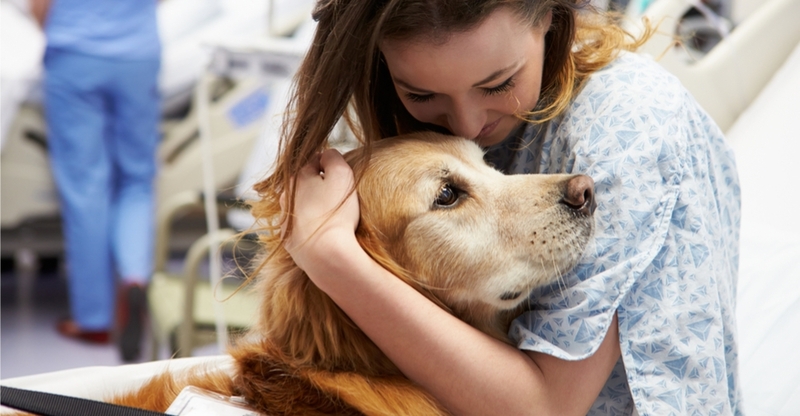 Therapy Dogs Provide affection and comfort to individuals in hospitals, nursing homes and other facilities. Emotional Support Dogs Help individuals with emotional problems by providing comfort and support. Adoptable pets in your area now could make great support dogs. Find a companion today. Note: While the breeds in this collection tend to be excellent as emotional support dogs, individual pets will vary based on personality, training, and life experience. Please consult the adoption organization for details on a specific pet.